The Cage JSA Summer wrestling clinic is an opportunity for local wrestlers to continue to train in the offseason at an affordable rate. The design of the camp sessions will consist of technique sessions in the first half, with live/competition session in the second. Technique training will include core drill routines from all positions (neutral, top, bottom) to include takedowns, throws, leg-riding and escapes. We will cover balance, proper positioning, and set up. Takedowns – wrestlers will learn to attack and defend from a variety of positions. We will cover leg attacks to include variations of double leg, single leg, and high crotch takedowns. From a defensive position we will teach a front headlock, cement mixer, and other counter-scoring techniques. All wrestlers will become familiar with an extensive Russian series. Our more advanced wrestlers will receive individual or small group instruction for throws and headlocks. Top Position – our coaches will cover a basic half-nelson series along with more advanced tilts and turns. Each wrestler will learn a variety of cradles and leg-rides. Bottom Position – We will emphasize and drill an explosive stand-up. Each wrestler will leave this clinic with no less than 3 effective escape or reversals in his/her arsenal. During our live wrestling segment, wrestlers will be paired by age, weight, and experience. All age groups (13+) and levels are invited! Coach Kyle Knowles has been involved with the sport of wrestling for over 30 years as an athlete, coach and official. Kyle grew up in upstate New York where he was a sectional champion and NHSCA state qualifier. After high school, he accepted a full Army ROTC scholarship to Western New England University in Springfield, MA and competed on the Varsity Wrestling team. 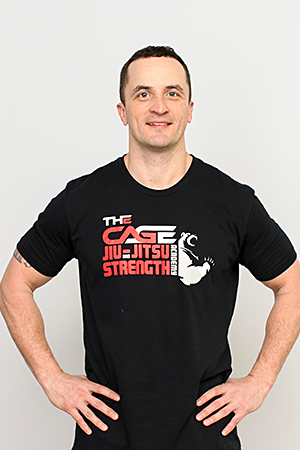 Kyle was commissioned into the US Army where he continued to compete in Army combatives tournaments while coaching at some of the most prestigious camps and clinics in the country. Later, he was a successful high school coach before becoming a state certified wrestling official in Massachusetts and Connecticut. Kyle has been a successful coach, teacher, and mentor to all levels of wrestlers; from middle school beginners to Olympic athletes. He is also a National Academy of Sports Medicine (NASM) certified fitness trainer and is CPR/First Aide qualified. Kyle will be joined by local and regional collegiate athletes and several local coaches throughout the summer.